Visitors to West Fleet Holiday Farm can now make use of the campsite’s very own WIFI hotspot. Working with rural Broadband delivery experts South West Internet CIC, the camping park now benefits from a network delivering broadband to many areas of the park as well as the newly rebuilt West Fleet Clubhouse. The new link means that for a small fee, customers can get access to emails, browse the web or make use of other internet services through their laptops, smart phones and other wifi enabled devices. Internet vouchers for use for periods of as little as one hour to several days can be purchased at the Camp Shops and in the bar. The development of the Hotspots at Sea Barn, West Fleet and Bagwell Farms is also good news for local residents, as the Parks’ investment in new equipment will also help to provide a more reliable service to homes in Fleet, which would otherwise be one of rural Britain’s infamous internet “not spots”. 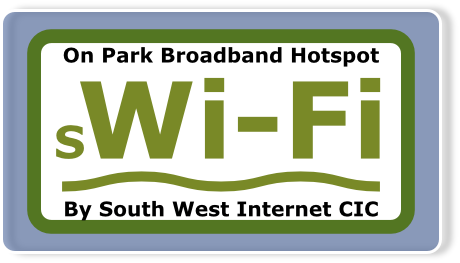 The area is in the 5 per cent of the population who other service providers have been unable to reach, so not only is the South West Internet link a huge boost for camping park visitors, it is also helping the local economy and the local community! Although the Hot Spot doesn’t cover every pitch on the park, the new service does mean that there are lots of areas where people can go with their devices to get on line!